Police in Kenya have rescued hundreds of girls from female genital mutilation before ceremonies often seen as a rite of passage to adulthood begin this weekend. An increase in tipoffs from community activists and officers on the ground in remote regions, where FGM is most commonly practised, is already paying dividends, according to politicians and police chiefs. School teachers in the West Pokot region are playing their part in the growing resistance to the practice by sheltering girls who go on the run after refusing FGM, known locally as “the cut”. “In the past three weeks we have made eight arrests. We only made one arrest for the whole of last year,” said Alasow Hussein, deputy county commissioner for Marakwet, one of the areas where FGM is most widely practised. 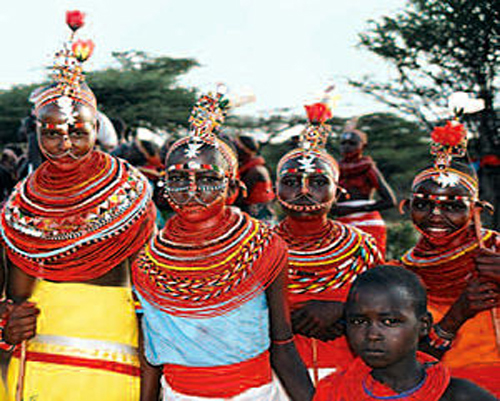 Traditionally FGM ceremonies, during which part or all of a girl’s genitalia is removed using a razor blade and without anaesthetic, take place around the third week of December. This is in the middle of the long school holidays that stretch into the new year, leaving time for the girls’ wounds to heal. Over the past fortnight in Kuria and Marakwet, the circumcisers started early and reports were received by community activists using social media networks. The reports detailed girls being brought into hospitals barely conscious because of blood loss and groups of girls being herded along roadsides en route to being bathed before going through the painful ritual. Christine Nanjala, head of the government’s anti-FGM prosecution unit, said police had been working closely with communities over the past year to maintain dialogue with chiefs and local administrators, making it easier for them to know when and where FGM might be happening. “They are working so people know that FGM is illegal. There is a greater awareness that it needs to be reported and the increase in arrests already shows that is happening. More people are reporting it,” Nanjala said. The availability of alternative rites of passage to adulthood is also having an impact, according to Hussein, the deputy county commissioner. However, peer pressure and parental authority still have a huge influence over whether girls go through the ceremony. Some schools have already taken action to back up their teaching on the benefits of not going through FGM. Prisillah Kamau, headteacher of Tartar girls’ school, one of West Pokot’s most successful girls’ schools, appealed to her students before they left for the holidays to refuse to be cut. She gave the girls her personal mobile number and told them to call if they needed help. Kamau has taught in West Pokot for three decades. She cites the fact that she was not cut as one of the reasons why she has been able to build a school community that works to educate girls from practising communities about the opportunities available to them if they don’t undergo FGM. Since Kamau took over the school, the numbers of girls who disappear during the holidays has dropped from 85-90 each year, to one or two now. john Longanyapuo, a West Pokot senator and a university professor, says more and more uncut girls are gaining access to university places because they are getting time to concentrate on their studies and are thus changing the way girls and women are valued in their communities. “I am proud of the work in my county that means more and more girls are continuing in education. Then they come back to their communities with jobs and families. People see this and where they were valued by their dowries … they are now being valued for their education,” Longanyapuo said. “Even if those girls who are cut do return to school,” says Kamau, “I can tell they have been cut. They will not concentrate and they will fail because after the cut they have been booked for marriage.